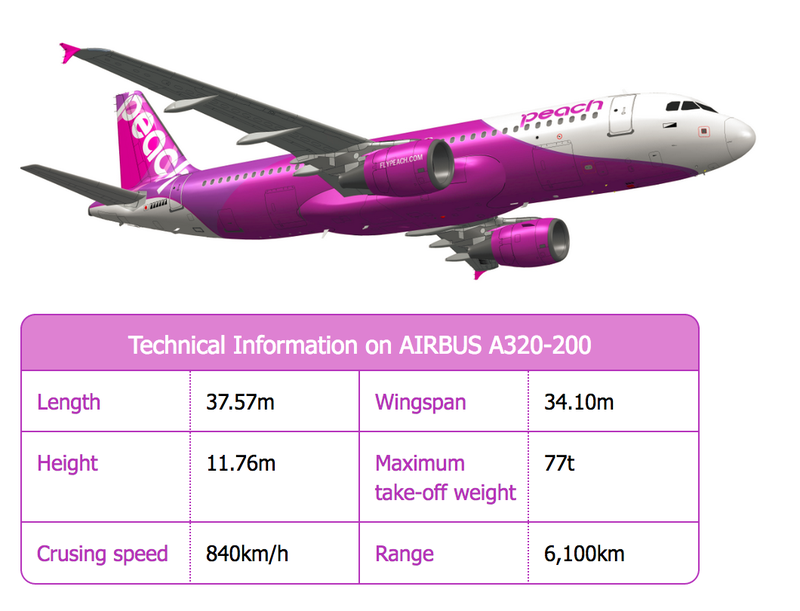 ■Peach Aircraft AIRBUS A320-200 is used for all flights operated by Peach. All the aircraft are new. 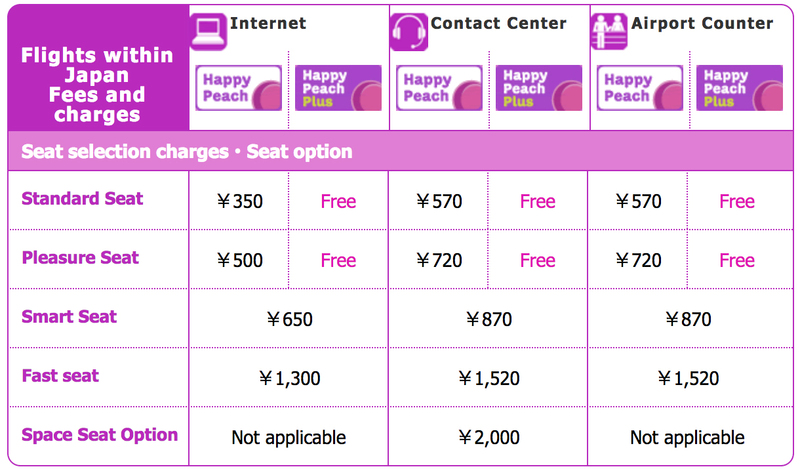 The seating capacity of Peach is 180 seats, and four kinds of seat types are prepared for. Fast seat is the front row that is convenient for getting on and off, and the space of the step becomes wide. Smart seat is 2-5,12,13 row. 2-5 row is convenient for getting on and off. Emergency exits seats of 12,13 row, the space of the step becomes wide. Pleasure seat is all seats of 6-11 row and seats on the window side of 14-30 row. Standard seat is other normal seats.